The Family Housing Fund’s new workplace required that we make a virtue of necessity. 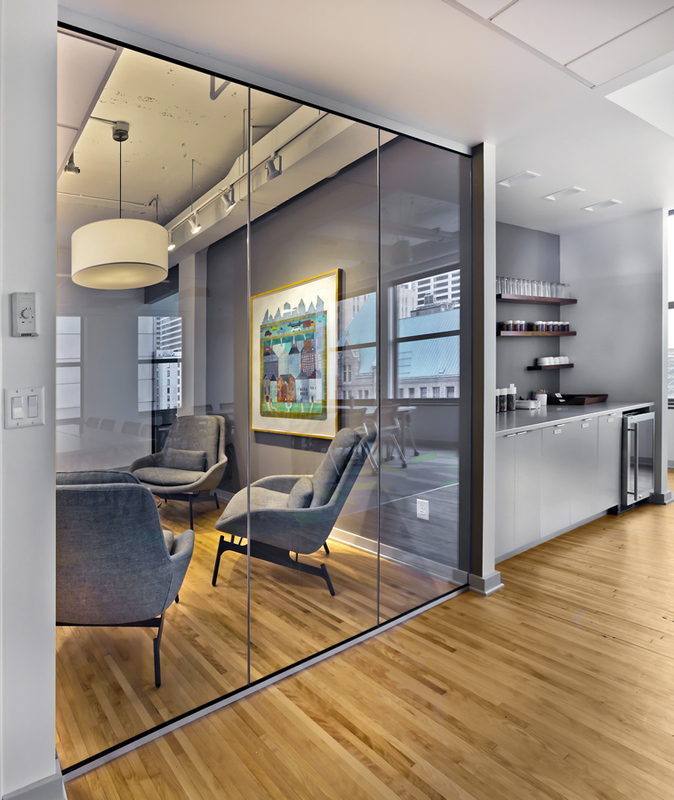 Our goal was to reduce the footprint of this busy non-profit from a sprawling, inefficient and costly office space to something smaller and more suited to their mission. 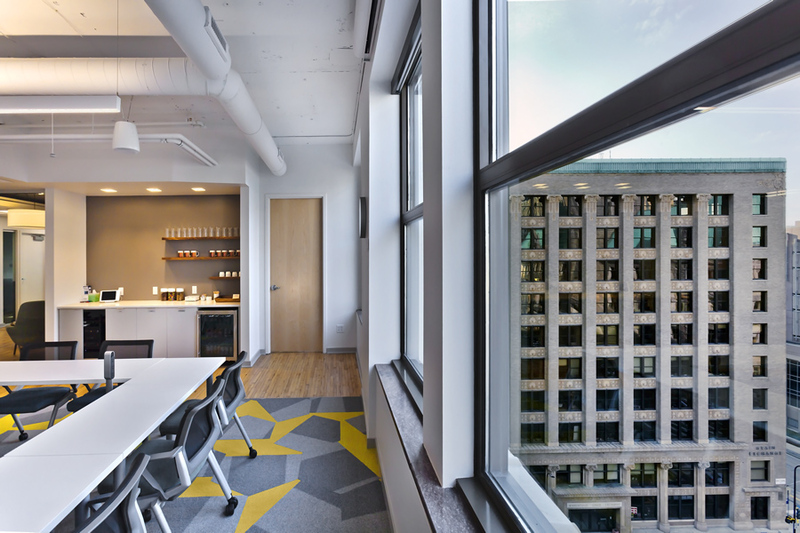 Working closely with the client to locate the appropriate space, we happened upon this sunny corner in Minneapolis’ historic Flour Exchange to create a cleaner, tighter workplace. The "L" shaped floor plan allows the program to cleave naturally to either side of the entry lobby. The office wing is to one side, the conference suite to the other. 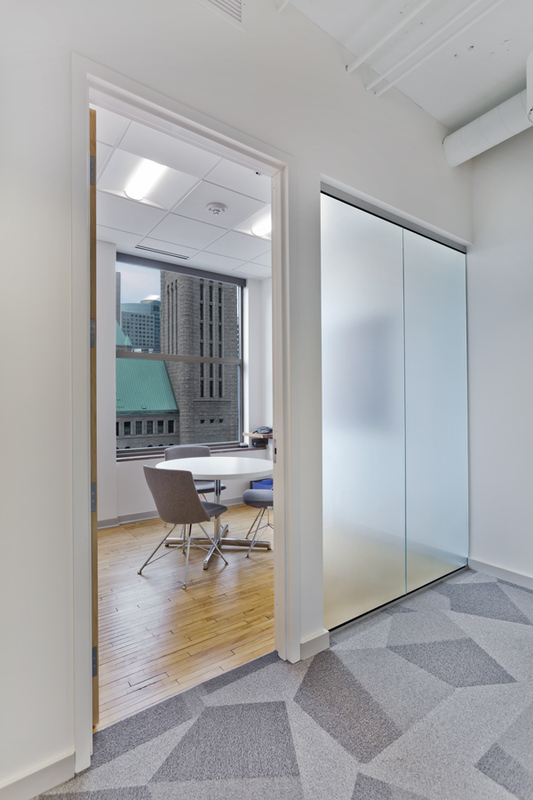 An arcade of glazed office carrels - each with a large window - allows for just the right balance of privacy and access. The new conference suite can accommodate day-long seminars of up to 25 people with a lounge and an open, social kitchen space. The Family Housing Fund supports the cities of Minneapolis and Saint Paul, the Metropolitan Council, and Minnesota Housing in their efforts to meet the region’s affordable housing needs. Originally created by The McKnight Foundation and the Cities of Minneapolis and Saint Paul, the FHFund serves the entire Twin Cities seven-county metropolitan area. Learn more about their mission and how you can support them on their website, and follow them on Twitter to stay up to date on their current work.